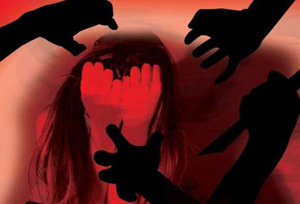 Kannur, Dec 5: Five people have been arrested in connection with the alleged sexual assault of a 15-year-old school girl by several people over different days at various places in Kannur district after enticing her through social media, the police said Wednesday. Based on the girl's statement, the first FIR was lodged and a case under the Protection of Children from Sexual Offences (POCSO) Act registered, the police said. The minor's statement was recorded before the Thaliparambu magistrate Tuesday, in which she has revealed "15 other offences," Venugopal told PTI. The accused had got in touch with the minor through social media by creating a fake profile of a woman. The girl was taken to different places in Kannur district over different days and allegedly sexually assaulted, police said.